It's surprising how many merchants do not seem to understand or take advantage of the benefits of credit card pre-authorizations. Pre-authorizations can vastly reduce fraud, processing costs, and improve customer satisfaction. If you offered a typical online merchant access to a tool that would provide any of the above benefits most would jump on the opportunity. With that in mind, one must wonder why relatively few merchants take advantage of the benefits of pre-authorizing a credit card. After more than 18 years since I launched Canada's first multi-currency credit card processing company I can say with total certainty that most business owners simply do not understand the difference between a full authorization (or just an authorization) and a pre-authorization. I'll do my best to dispel the confusion and clearly highlight some of the benefits in this discussion. What is a pre-authorization on a credit card? Let's start by clarifying exactly what a pre-authorization (commonly referred to as a "pre-auth") is. A credit card pre-authorization is much like any other charge to a credit card, except instead of actually debiting funds from the cardholder you just put a temporary "hold" on the funds that lasts for 5 days. At a technical level, the actual duration of the hold depends on the merchant classification code (MCC code). Some type of merchants may qualify for a longer hold than others, but in general if you are going to capture a pre-authorized payment you should do it before the 5th day to make certain the funds will be available. If you wait too long and the pre-auth has expired the post-authoriztion (capture) will be declined and you'll have to contact the cardholder to run the payment over again. Once a credit card has been pre-authorized the cardholder cannot go and spend this money anywhere else. However, at the same time the charge doesn't actually show up on their credit card statement. (Although, if they call their card issuing bank the card issuer will confirm that a pre-authorization is holding funds on the cardholders account). The merchant must go in and "capture" the funds within the 5 day period. If they do not, the pre-authorization will expire and the funds will be released by the card issuing bank back to the cardholder. What are the benefits of credit card pre-authorization? The biggest advantage of a pre-authorization is that a cardholder cannot dispute a transaction or issue a chargeback if the funds have not been captured. This means that online merchants can process transactions without having to worry about fraudsters causing chargebacks if using stolen cards. Visa and MasterCard do not assess interchange fees until the point in which the credit card is fully authorized and funds debited from the cardholders account. This is a huge benefit that many merchants are not aware of. For clarity, some credit card processors may charge discount rate fees even when a pre-authorization is performed, but if so it is arguably not a good commercial arrangement for the merchant. If your credit card processor is charging discount rate fees for pre-authorizations you should attempt to renegotiate this point with your credit card processor, or failing that, look for a payment processor that will not charge discount rate fees for pre-authorizations. On this point, and for further clarity, a payment gateway fee should apply in the case of a pre-authorization. That is the flat rate per transaction fee of 20 or 30 cents that most payment gateways charge. However, the discount rate (which is the percentage based fee) should not be applied until the funds from the pre-authorization are captured and fully charged to the customers card. Some credit card processors also charge a fee for refunds. It is beyond the scope of this article to get into a commercial discussion of what fees are fair and what fees can be negotiated away, but it is worth stating that if your credit card processor charges for refunds then it is doubly important to use pre-authorizations so that you do not need to issue any refunds. (At Merchant Accounts.ca we do not charge a discount rate for refunds, only the 20 cent per transaction fee). A pre-authorized card that has not been captured does not need to be refunded, and can save merchants money. Right on the heels of avoiding refunds to reduce costs, we have to point out that refunds are often due to the fact that a merchant gets an influx of orders and does not have enough inventory to satisfy all of the outstanding orders. By using pre-authorizations it means that you do not incur the discount rate charges for orders that cannot be shipped. Building further on the point above about satisfaction: as a consumer, it is frustrating to order something and have it not be delivered. Regardless of whether it is the merchant's fault or not, it is still frustrating to pay for something and not get it. The fact that you haven't billed a customers card may not totally eliminate a customers ire, but having a simple policy on your website like "all orders are pre-authorized until inventory is confirmed, your card will not be charged until your order has shipped" can go a long way towards fostering good feelings between you and your customers. How to do a credit card pre-authorization. Taking a pre-authorization is not any different from running any other credit card transaction. It may vary slightly from processor to processor, so I will explain how it works at Merchant Accounts.ca. In order to do a pre-authorization through an online store you must: (i) have a credit card processor (payment gateway) that supports pre-authorizations, and (ii) a shopping cart that can send transactions to the gateway that are formatted to use a pre-authorization. This may sound complicated, but it is extremely simple. When integrating your website to the payment gateway, you have to declare what type of transaction you want to process. If you are using a popular shopping cart software you will want to specify to run your transactions as "full authorizations" or "pre-authorizations". It's an account level setting, meaning whatever you choose here will impact how all of the transactions are processed through your online store. It's important to note that some shopping cart software may use different terminology, so they may not call it a pre-authorization. For example, in the admin panel of your shopping cart it may have an option under your payment gateway settings page to "capture" or "reserve only". This would be a reference to run a full-authorization "capture" or pre-authorization "reserve only". It's also important to note that not all shopping cart software can support pre-authorizations, although most will. It is possible that your credit card processor is capable of transacting pre-authorizations, but your shopping cart does not support it. If you have questions about this you should speak first to your credit card processor to find out if your desired shopping cart can work with the payment gateway with support for pre-authorizations. For both clarity and reassurance, just about every credit card processor must support the functionality to provide pre-authorizations, and almost all shopping carts support it as well, so it's almost certainly just a matter of turning it on in your control panel. One your online store is sending transactions to the payment gateway that is only half of the battle. Obviously, we are going to want to capture the funds from most of the transactions that you have processed. Capturing the funds is an easy process. Once the hold has been reserved on the funds you will login to your administrative interface (control panel) that has been provided by your credit card processor. This is the same place that you do most of your day to day merchant activities such as issue refunds or download statements. From here, you can find the transaction in question (just like searching for any other transaction) and press the "capture" button to actually capture the funds. At this point the pre-authorization is converted into a full authorization. It's also worth mentioning that some more advanced shopping carts may let you capture the transaction through your shopping cart administrative interface, as opposed to doing it through the control panel provided to you by your credit card processor. The distinction is an important one: if your shopping cart will allow you to capture the funds through the cart that is better, because it means the order in your shopping cart records will be updated show that it has been captured. This is not a major issue, but is an advantage worth mentioning, since if you capture the funds through the control panel provided by your credit card processor it means that the cart will not know the funds have been captured and records will fall slightly out of sync. Taking a pre-authorization from funds captured over the phone is very easy. (So long as your chosen credit card processor provides this service - we fully support this at Merchant Accounts.ca). In the virtual terminal, on the page in which you key the credit card number there should be an option to choose what you want to do to the card: (i) authorization or (ii) pre-authorization. You simply choose pre-authorization and key in the card as normal. Once done, you have five days to pull up the transaction in your control panel and press the capture button to finalize the transaction. What happens if a pre-authorization times out? 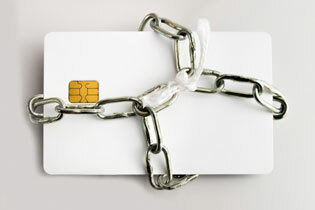 A card issuing bank will not let a cardholder's funds be locked up in limbo forever. That is why a pre-authorization will expire after 5 days. However, if a payment expires there is nothing stopping you from issuing a new charge to their card (so long as you have your customers permission to do this). Even if a pre-auth times out, at least you know the customer has a valid credit card. To a large degree you have vetted the order and are further ahead in the customers mind (in terms of them completing the purchase). It is worth noting that if a pre-auth times out and the customer then spends funds on something else a card can be declined if you try to re-capture the funds with a new transaction, but this is likely to be a minor issue in the small number of cases in which it may occur. Depending on your credit card processor it may be easy to create a new transaction from the expired pre-authorization, or it could be difficult. At Merchant Accounts.ca with our interface you simply click on the expired transaction, and press a button to create a new transaction from the card associated with the expired pre-authorization. You can speak to your credit card processor about their ability to help you re-process a credit card that has been previously been pre-authorized and expired. Ideally the interface will not require you to store any sensitive credit card data at all (at Merchant Accounts.ca you do not need to store cardholder data, the payment gateway does it for you), so that as a merchant you just login and can create subsequent charges any time you like without having to store sensitive cardholder data. It is genuinely surprising how many merchants do not realize and take advantage of credit card pre-authorizations. If you manage an inventory, sell a high risk product, a high ticket item, or a product that does not ship immediately after ordering, you probably should be running your credit card orders as pre-authorizations. If you have any questions about setting up pre-authorizations for your online store, or how to run or setup pre-authorizations for orders taken over the phone, do not hesitate to contact the Merchant Accounts.ca team for advice!